Dominguez was caught by a big right hand and knocked out in the third round. Choosing the top knockout of 2015 was akin to asking the mother of a brain surgeon, rocket scientist and fighter pilot to pick her smartest kid: There’s no easy answer, and no wrong answer. Juan Dominguez stopped Manuel de los Reyes Herrera in three rounds. 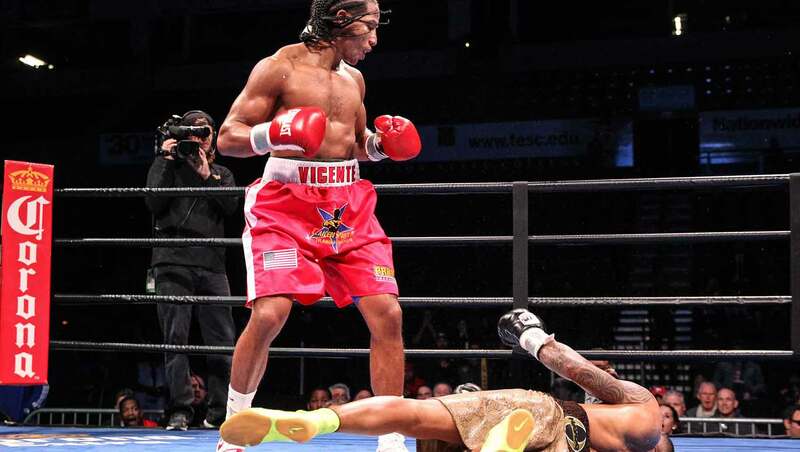 Yenifel Vicente stopped Herrera in three rounds. Dominguez knocked out his last two opponents. Vicente knocked out his last two opponents. Dominguez is a 29-year-old right-hander. Vicente is a 29-year-old right-hander.